Efficient, high quality and reliable suncare. Effective against both UVB and UVA rays. 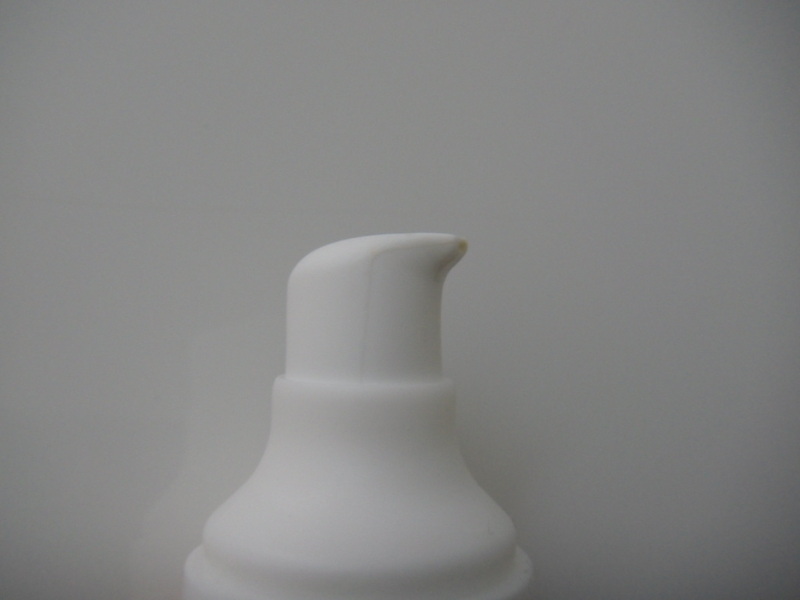 Paraben-free – Certified UVA-compliant – VERY water-resistant – 100% photostable Benefits from exclusive SunSitive Protection®, a product of Pierre Fabre Group Research: Pre-tocopheryl, a photostable Vitamin E precursor, gives additional cell protection. 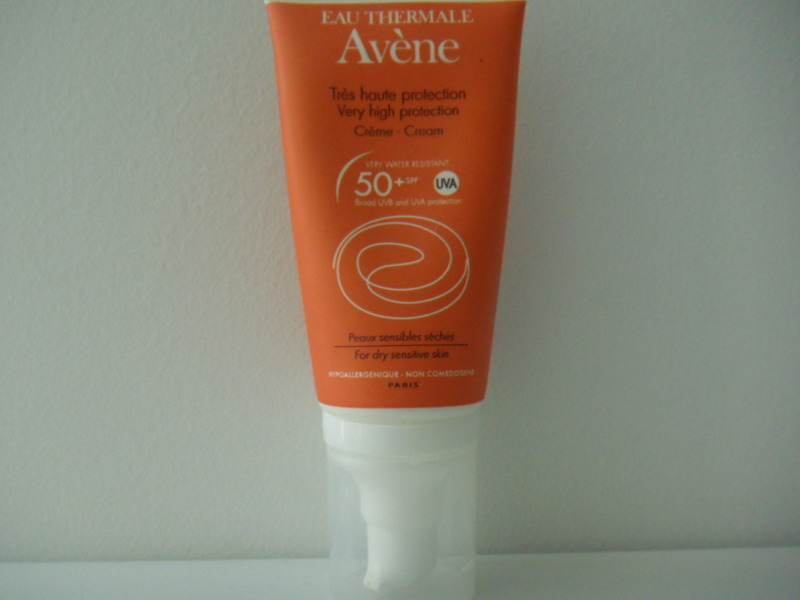 Avène Thermal Spring Water with natural soothing and anti-irritating properties. With an invisible, non-oily texture and a specially designed tube for particularly pleasant application. As I’m getting older, I’m becoming more wary of the effect the sun can have on the skin which is why I was on the lookout for some decent protection. I read somewhere that the Sun Protection Factor should be at least 50 to do any good. Any higher is overkill and any lower and it won’t do much. I came across a 2-pack at Boots of this stuff so I figured it was a good deal and decided to purchase it. Even though I went into this pretty much blind (no research beforehand on said product) I’m actually enjoying using it (so far). I mean it’s not a “fun” product like makeup or perfume or whatever but when it comes to sunblocks and such, this stuff is pretty good. The main reason why I love this stuff is it does not leave a white cast on my olive skin, as opposed to other sunblocks. That means I don’t have to reserve this solely for swimming at the beach or pool. I can actually use this stuff during my normal every day life (work, when I’m out and about, etc…) and not worry about looking like a geisha. Also, when I happen to sweat (read: glow) it doesn’t collect in the corner of my eyes and start to sting as this stuff is not runny. It stays put. 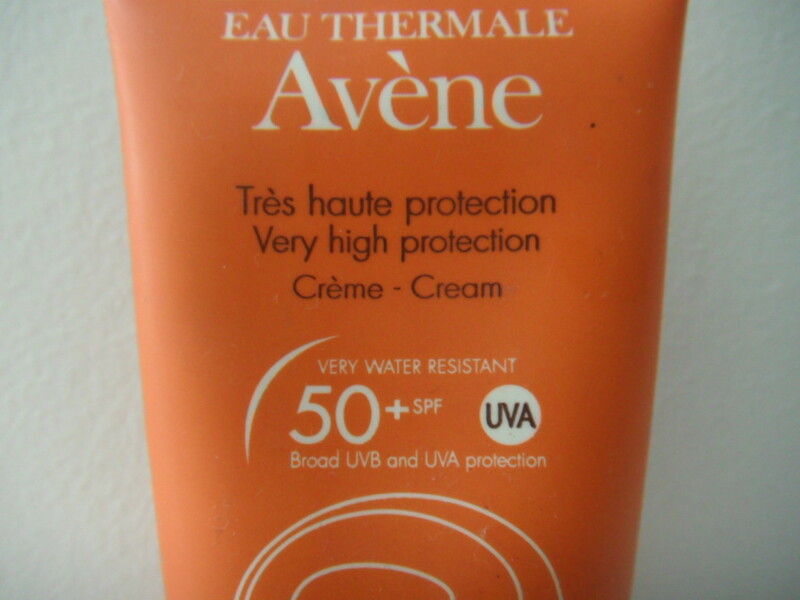 In the interest of full disclosure, aside from lipbalm (if that even counts), I do not wear makeup over the Avene Protection Cream because it skeeves me out. I’ve never tried it and don’t ever plan on trying it. I’m just weird that way. The point is, I can’t attest to how well this performs under makeup. Another thing is this stuff has a slightly strange scent. It doesn’t bother me because I wear perfume, and always have scented something or other (candles, wallflowers, etc…) around me at all times which makes the scent less noticeable. Lastly, I tend to not re-apply because it starts pilling on me which I hate so I only apply this stuff once. The packaging might not be the prettiest but Orange signifies Suncare which makes the color-scheme appropriate and I like the pump dispenser because it’s less messy. Even though it is sold at Boots, it is a bit pricey (just like the other skincare brands like Vichy, Leirac, Nuxe, etc…) but well worth the money. Overall this is a great product solely based on its excellent protection!